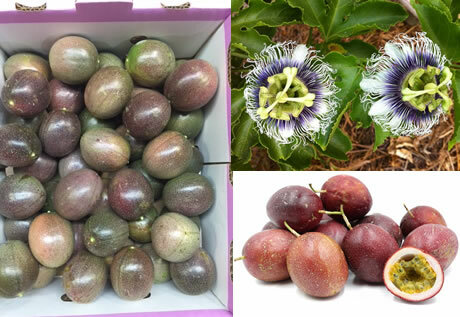 "Israeli passionfruit is popular with greengrocers across Europe"
The first lots of passionfruit have arrived from Israel at Gaia Herbs in Poeldijk, the Netherlands. According to Patrick Stoffels, this Israeli variety, Passion Dream, is characterized by its large size and sweet taste. "This exotic fruit cannot be compared to, for example, the Kenyan or Colombian passionfruit", says Patrick. "It is much more similar to the passionfruit from Vietnam. The area used to grow this fruit in Israel covers about 25 hectares." At Gaia Herbs, the season runs through to April. The company has 2kg packs of this product. It is available in the following sizes: XL 22 to 25 pieces, L 30 to 33 pieces, M 36 to 39 pieces, and S 46 to 48 pieces. "We sell Israeli passionfruit all over Europa. Mainly to greengrocers who are on the lookout for tasty passionfruit. We invite everyone to come and taste this fruit at Fruit Logistica. We will be in Hall 1.2 stand A-07", Patrick says.